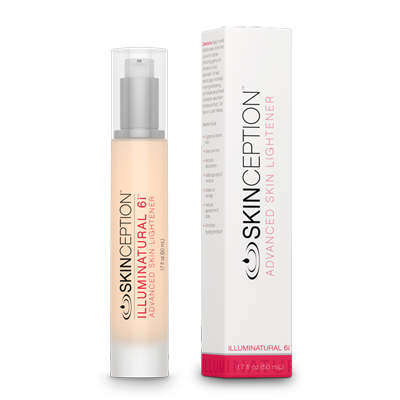 Illuminatural 6i claims to help lighten the skin by using sin lightening ingredients, exfoliating the skin to help remove dark skin cells, using skin brightening ingredients and inhibiting the skin production of melanin, which give your skin increased pigment. Sodium Lactate (8.0%), Magnesium Ascorbyl Phosphate (5.0%), Niacinamide (5.0%), Whitonyl (4.0%), Ronaflair Softshade (2.0%), Alpha Arbutin (1.0%), Hydrolite 5, Symglucan, Water (Aqua), Aloe Barbadensis Leaf Juice, Sodium Lactate, Magnesium Ascorbyl Phosphate, Niacinamide, Dimethicone, Pentylene Glycol, Palmaria Palmata Extract, Titanium Dioxide (CI 77891), Silica, Mica, Alumina, Stearyl Alcohol, Glyceryl Stearate, PEG-100 Stearate, Glycerin, Beta-Glucan, Alpha Arbutin, Camellia Sinensis (Green Tea) Leaf Extract, Vitis Vinifera (Grape) Seed Extract, Vaccinium Myrtillus (Bilberry) Extract, Silybum Marianum (Milk Thistle) Extract, Pinus Pinaster Bark (Maritime Pine) Extract, Ginkgo Biloba Extract, Tocopheryl Acetate, Magnesium Aluminum Silicate, Hydroxyethyl Acrylate/Sodium Acryloyldimethyl Taurate Copolymer, Tetrasodium Glutamate Diacetate, Fragrance (Parfum), Xanthan Gum, Ethylhexylglycerin, Phenoxyethanol. Niacinamide (you’ve probably seen this ingredient in previous reviews for creams that claim to reduce the appearance of scars), Whitonyl, Ronaflair Softshade and Alpha-Arbutin. 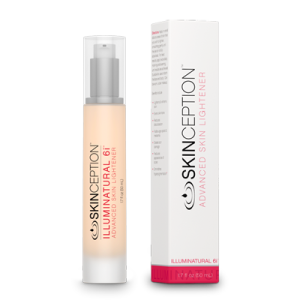 In addition to the fantastic list of ingredients that are effective at lightening skin, we also noticed ingredients that help to moisturize the skin, antibacterial agents that help to promote healthier, cleaner skin, and a few that have powerful anti-aging properties. The ingredient list definitely impressed us, but, as usual we dug a little deeper to gain an understanding of how legit this cream really is, and were even further impressed. No scam reports or reviews were found, helping us feel confident that the dissatisfied customer will indeed receive their money back. There is also a low risk of developing an allergic reaction, and this cream is not known for severely drying out the skin as we observed in Meladerm’s Skin Lightening Cream. With the low risk of any side effects, clinically proven ingredients, and 90 day money back guarantee, this product is a safe bet!